I just picked up a T series Series 9 with the articulated C#/G# trill key as well as the alternate LH pinky Ab/Eb key. I've seen some people refer to this as a full boehm, which I believe is incorrect, since it does not have the low Eb key. I'm just wondering how rare this option was and/or how many keywork options were available for 9's. It's not a full Boehm unless it's built to low Eb and has all the other optional keywork giving 20 keys and 7 rings - anything less than that isn't a full Boehm. N.1* - 17 keys, 6 rings - standard Boehm system. N.1B - 18 keys, 6 rings - with LH Ab/Eb lever. N.2* - 17 keys, 7 rings - with LH forked Eb/Bb mechanism. N.3* - 18 keys, 6 rings - with articulated C#/G# mechanism and C-Db/G-Ab trill key. N.4* - 18 keys, 7 rings - with forked Eb/Bb and articulated C#/G#. N.5 - 19 keys, 6 rings - with articulated C#/G# and low Eb (but not a full Boehm). N.6* - 19 keys, 7 rings - with forked Eb/Bb, articulated C#/G# and LH Ab/Eb lever. N.8* - 20 keys, 7 rings - full Boehm, as N.6 but built to low Eb. Chris, much appreciated! Mine is option N.6 (19 keys, 7 rings, forked Eb/Bb, articulated C#/G# and LH Ab/Eb lever). Your clarinets are gorgeous btw! While I've cork padded all my clarinets apart from the largest pad cups (which have leather pads installed there), I'd strongly advise on any clarinets fitted with the forked Eb/Bb and articulated C#/G# mechanisms to use cork pads on the forked Eb/Bb vent (the small pad cup between LH fingers 2 and 3) and the articulated C#/G# pad cup as they will be far less likely to stick. These Selmer "semi-full-boehm" versions were quite common in these days in contrary to e.g. Buffets. Buffet also offered the same keywork options as did Leblanc until the '90s. 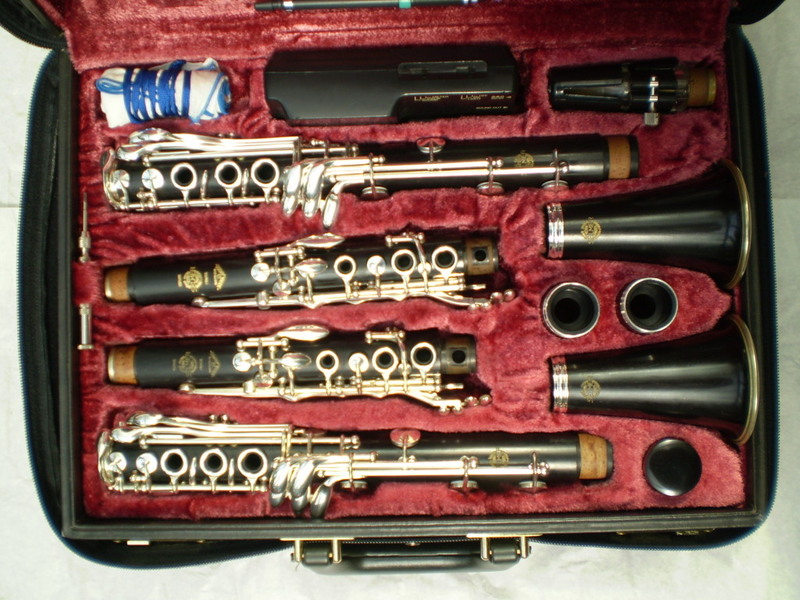 The term 'full Boehm' only applies to clarinets with 20 keys and 7 rings and built to low Eb. 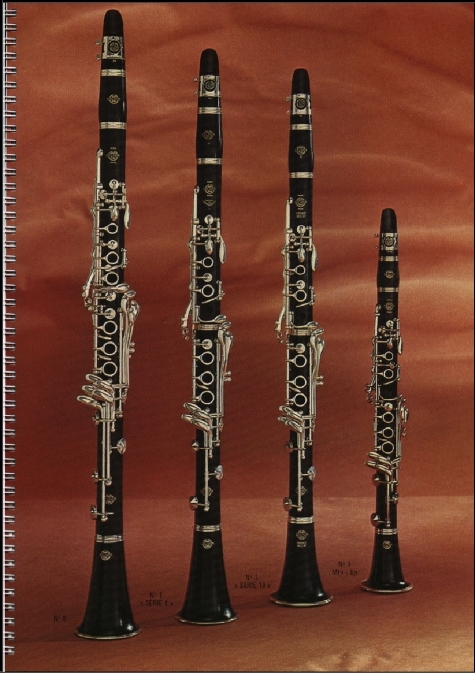 In addition to that, Selmer also offered the Mazzeo and Marchi systems which were full Boehms with even more gadgetry. The full Mazzeo model was a full Boehm which also had a LH low Eb lever, articulated F#/C# key and I think the Ab/Eb key was linked to the articulated C#/G# key (not a good idea as you can't use the Ab/Eb key for altissimo E), plus the Mazzeo mechanism for the throat notes with a clutch so it can be disengaged. The Marchi system had an extra speaker vent on the barrel with a piggy-back style vent key (like the split C# vent on soprano saxes or the trill keys on Fossati pro level oboes and cors). 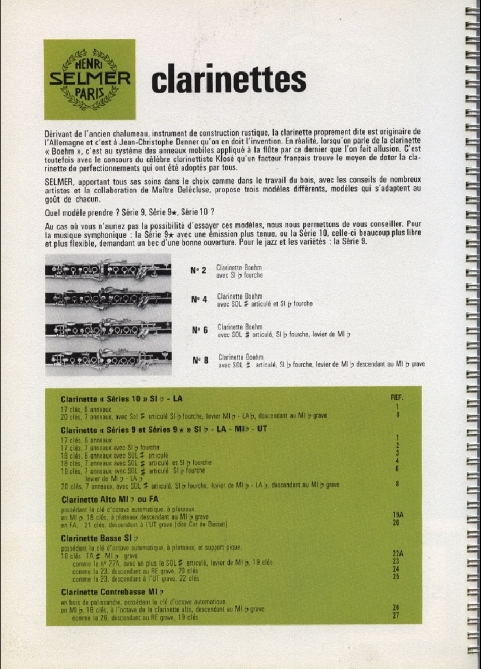 It had extra touchpieces and mechanisms to allow the altissimo register from high E upwards to be played with the same fingerings as the lower register. Absolutely agree, Chris. That's exactly what I've done to one of my BT's and RI as well and plan on doing the same with the 9. I have an N.6 Centered Tone with all leather (except register key) and yes, I do have problems with sticky pads. It's on my "when I have time" list to change out the small, indirect action pads with either cork or Valentino Master's, which I have found to be sticky-resistant. 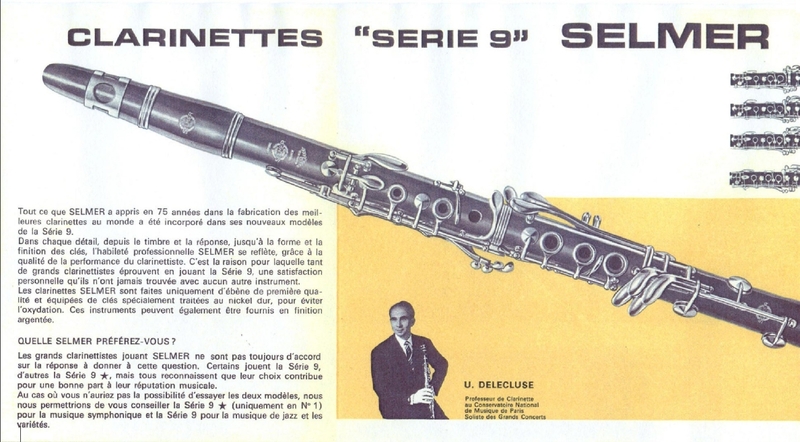 Leblanc were the last of the three French makers to still offer full Boehms into the early 2000s when both Selmer and Buffet ceased to in the '90s. 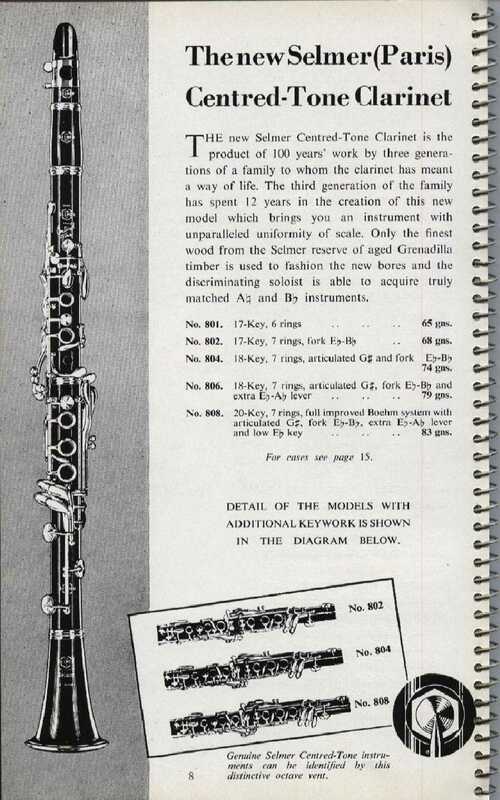 I have seen a specially made basset clarinet with the extras found on a full Boehm - I think it was made by Rene Hagmann. 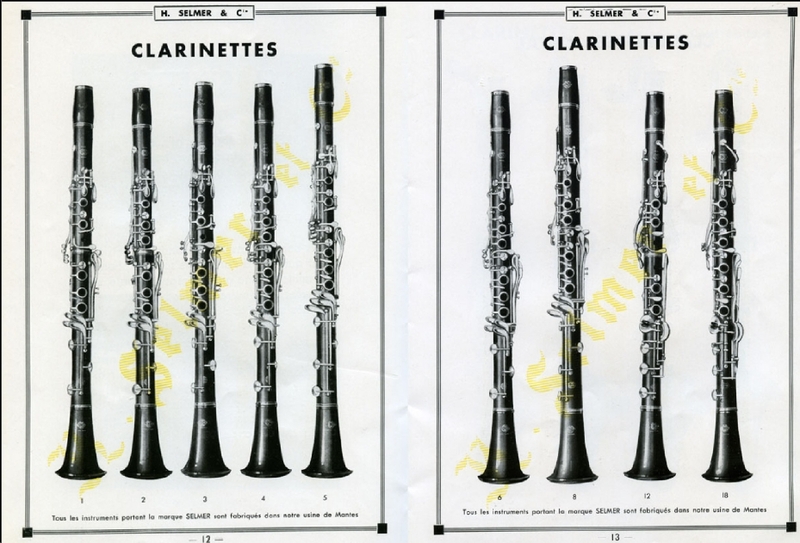 I'm surprised some basset clarinets don't even have a LH Ab/Eb lever - the Selmer one was fairly standard, but it had both a LH Ab/Eb lever and LH low Eb lever too just like the full Mazzeos had.